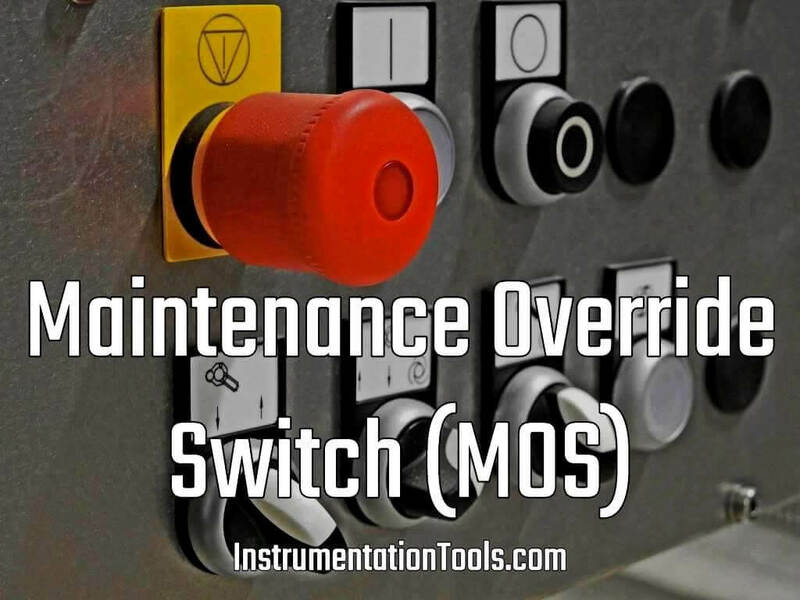 Home » What is Maintenance Override Switch (MOS) ? There shall be a common MOS permissive key in the ESD operator panel have two positions i.e. ‘MOS-enabled’ and ‘MOS-off’. When key switch is in the MOS enabled position, there shall be a red status alarm on the ESD operator fascia panel, which shall flash until the MOS is off. The alarm status of the field inputs, which are overridden by “MOS”, shall not be masked. MOS switches for multiple field inputs used in voting systems shall be grouped together. a) The MOS shall be software switches provided with password protection in the ESD/SSLS logic, unless otherwise specified. b) MOS interfaces shall be configured tag-wise on the graphics of the ESD workstation. c) Activation and release of MOS shall be logged into the alarm journals of the ESD / SSLS workstation and displayed graphically. d) MOS for ESD system and SSLS shall be segregated and each separately grouped in the graphics. The tag number shall be in black foreground shrouded in a magenta box as long as the MOS is active, at DCS console graphic. The fill colour of MOS switch shall be “Red” if MOS is activated and; “Green” if MOS is normalised at the ESD workstation graphics. a) MOS shall be hardwired key locked switches mounted in the ESD cabinet, the interface cabinet or in an adjacent identical cabinet. b) MOS activation shall input to the DCS and bring up an “override in operation” alarm and shall print on the event log. The tag number shall be in black foreground shrouded in a magenta box as long as the MOS is active at DCS console graphic. How-to Create Instrument Loop Diagram (ILD) ?